Since 1973, Chapel Hill Ophthalmology Clinic has been dedicated to providing the highest level of professional medical skill and technological advances in eye care to the residents of Chapel Hill and surrounding communities. General/Comprehensive Ophthalmology care has been the cornerstone of Chapel Hill Ophthalmology since its inception. Our physicians, Dr. John H. Wood, and Dr. David R. Haas, have acquired specialized training and brought those expertise to Chapel Hill. 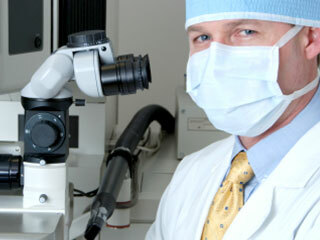 Our physicians provide comprehensive medical and surgical eye care. As trained medical doctors, our ophthalmologists are best able to recognize the full range of eye-related problems and treat them with the best available medical and surgical treatment modalities. Modern medicine has improved our ability to detect and treat ocular disorders; from prescribing corrective lenses to detecting complex disorders. Our staff consists of ophthalmologists, board-certified in adult and pediatric ophthalmic/eye care, licensed opticians, and JCAHPO-certified support staff, allowing us to provide the highest quality, comprehensive eye care for patients’ convenience. For your convenience, complete optical services are provided in our office for fitting and dispensing glasses and contact lenses. Cataract Surgery - Chapel Hill Ophthalmology offers both bladeless laser cataract surgery and traditional cataract surgery. Should you experience an eye emergency, such as an accident, or injury to the eye, sudden loss of vision or pain in your eye please call (919)942-8701 - We do request that after hours service be used for actual eye emergencies only. Please note that an emergency/after hours visit carries an additional fee.